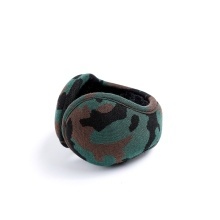 This earmuff can effectively protect your ears safe from the cold and wind, and keep your ears warm and comfortable. Stylish design, easy to wear, suitable for both men and women. Made of good quality material, warm and comfortable. Keep your ears warm in winter and protect ears from noise and strong wind. Stylish appearance and fine workmanship. Stretchable and adjustable headband length, very flexible, one size fits most people. Suitable for both men and women, easy to put on or take off. Foldable design for convenient storage and carry. A great winter accessory, perfect gift for your family and friends.